This product is listed as a discontinued item. There will be NO RETURNS and NO REFUNDS available for this item. Absolutely gorgeous hardwaring plastic plunger cutters with detail. 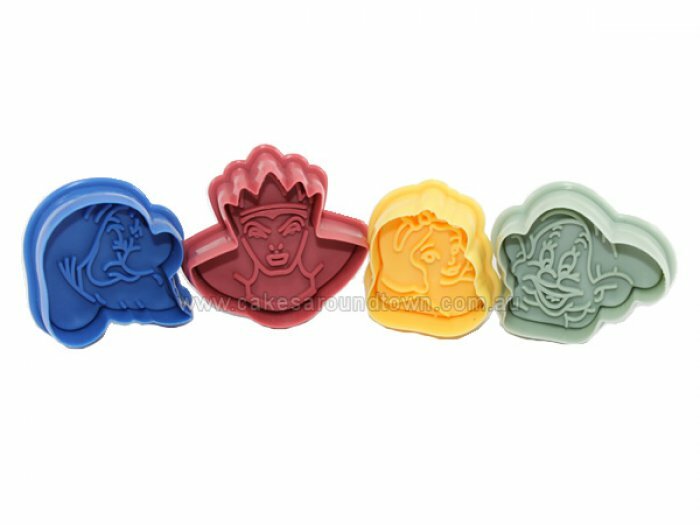 Can be used on fondant or cookie dough. Featuring Snow Whites, the Evil Queen, Dwarfs.